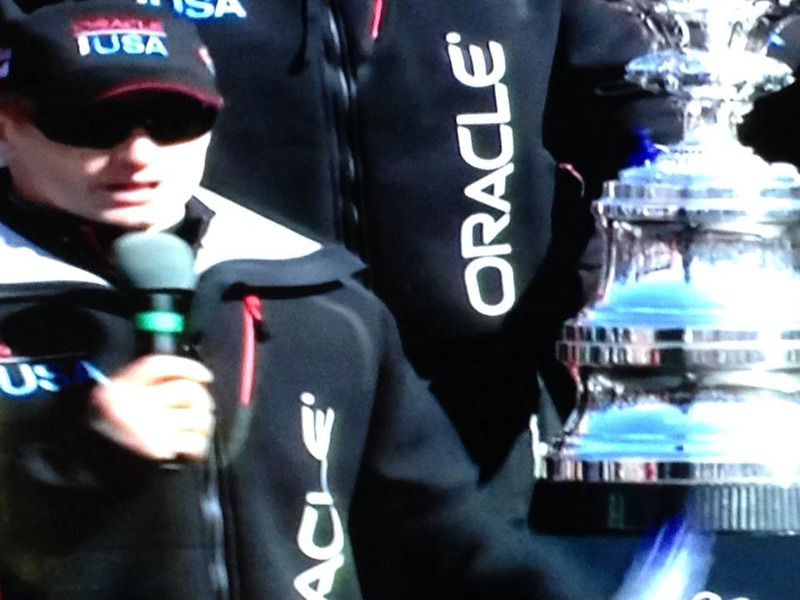 This is the second America’s Cup win for ORACLE TEAM USA and Spithill, which won the 162-year-old trophy in Valencia, Spain, in February 2010. 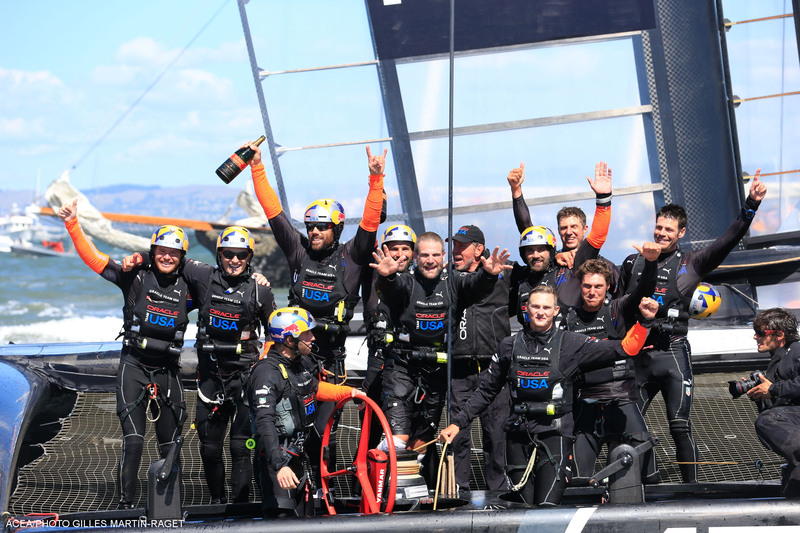 Then 30 years of age, Spithill became the youngest to ever skipper a Cup winning team. In the past week ORACLE TEAM USA has steadily improved its boatspeed to the point where it could hydrofoil upwind at 30-32 knots, incredible performance never seen before in the America’s Cup. “It was a fantastic race. 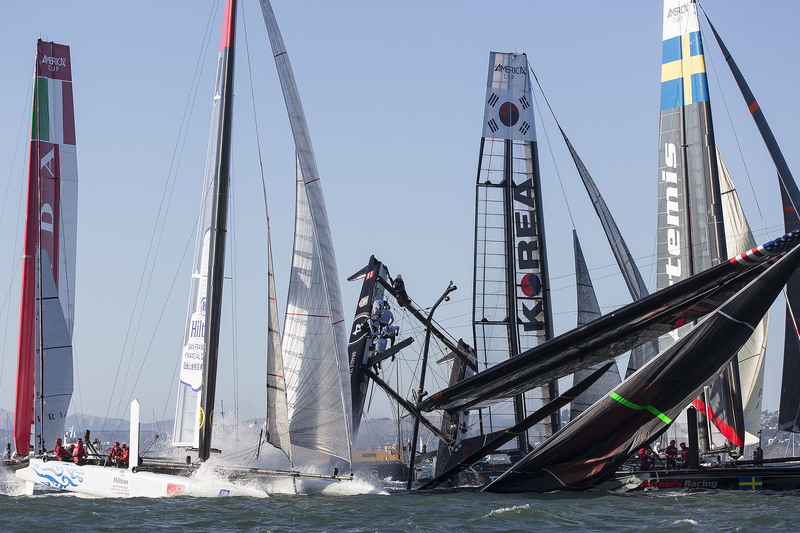 We wouldn’t have it any other way,” said Spithill, the two-time Cup winner. “We came from behind, the guys showed so much heart. On your own you’re nothing, but a team like this can make you look great… We were facing the barrel of a gun at 8-1 and the guys didn’t even flinch. 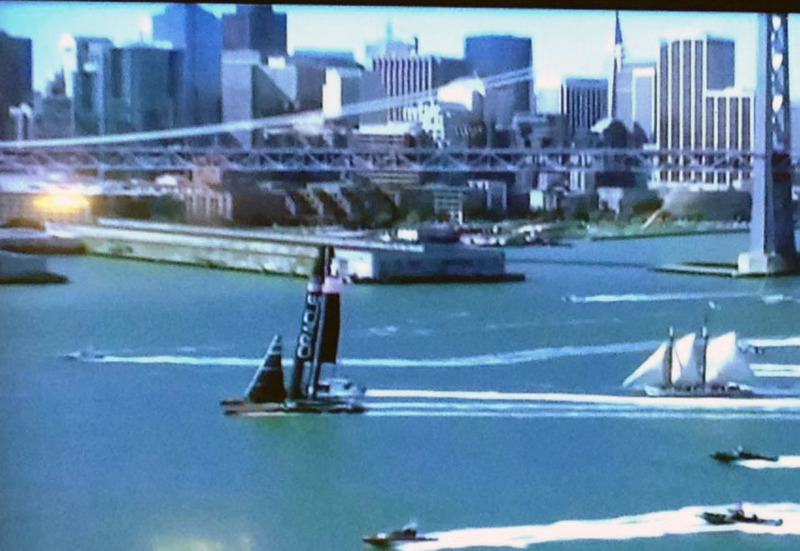 “Thanks to San Francisco, this is one hell of a day,” Spithill said. 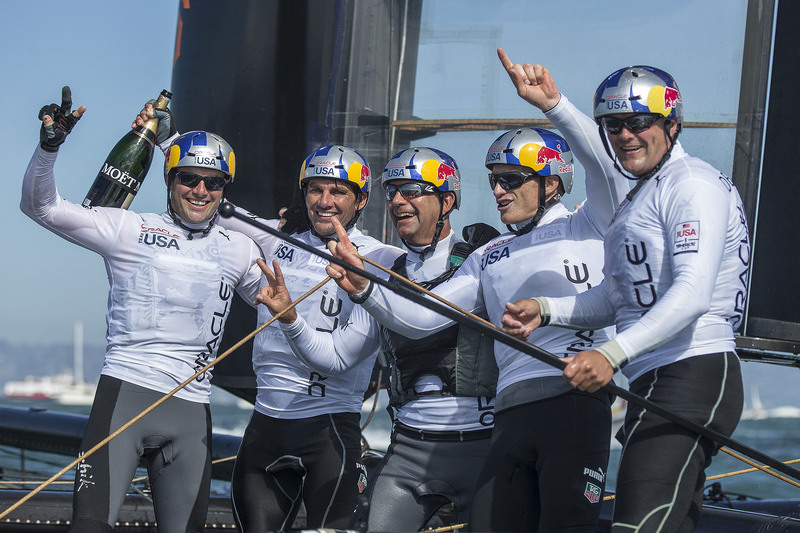 ORACLE TEAM USA’s victory marks one of the most improbable comebacks in the history of sport. The team won 11 races to score the 9 points required for victory due to a penalty imposed by the International Jury. Just last Wednesday, Sept. 18, ORACLE TEAM USA trailed the series 8-1. With the challenger on match point, the defender closed out the series with eight consecutive victories. 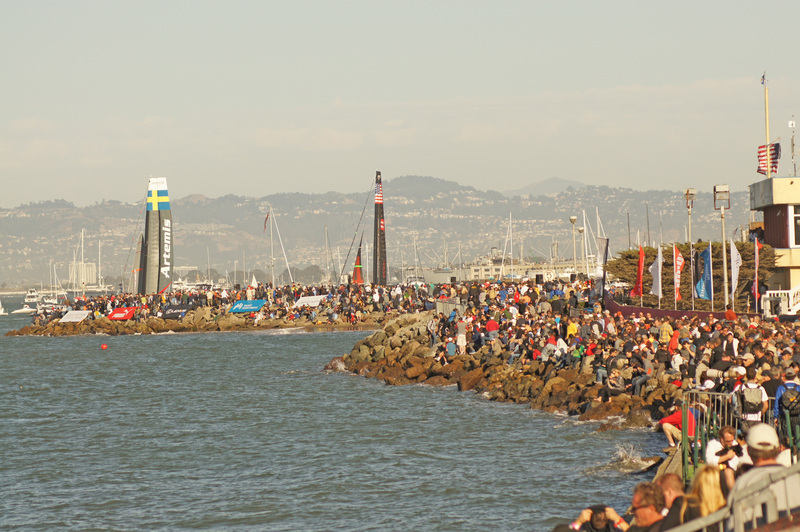 One million fans visited the official America’s Cup venues at Piers 27/29 and Marina Green since they opened on July 4, and hundreds of thousands more lined the shores of San Francisco Bay to catch a glimpse of the flying, foiling AC72. 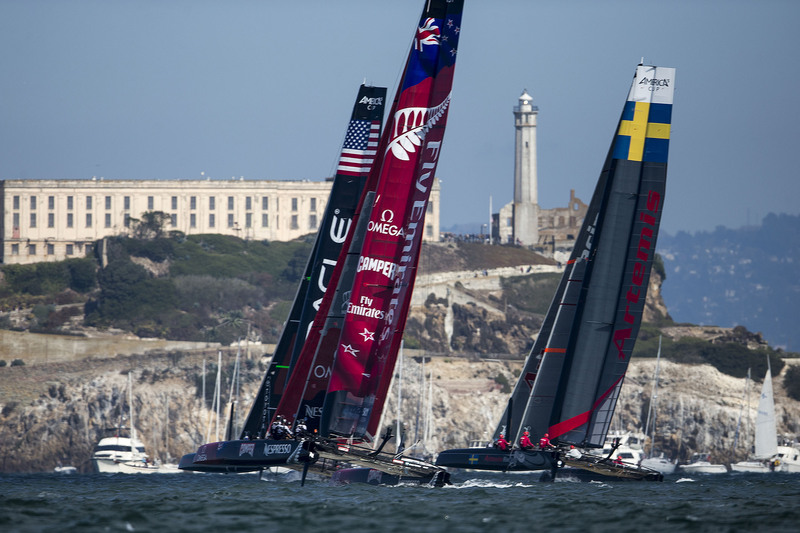 Oracle TeamUSA takes their victory lab around San Francisco Bay.